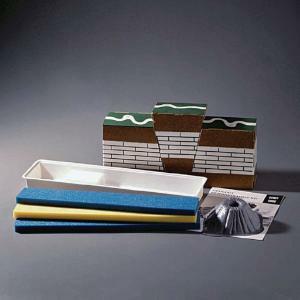 In the Geology Demonstration Kit, a variety of activities explain a number of geological formations to students. 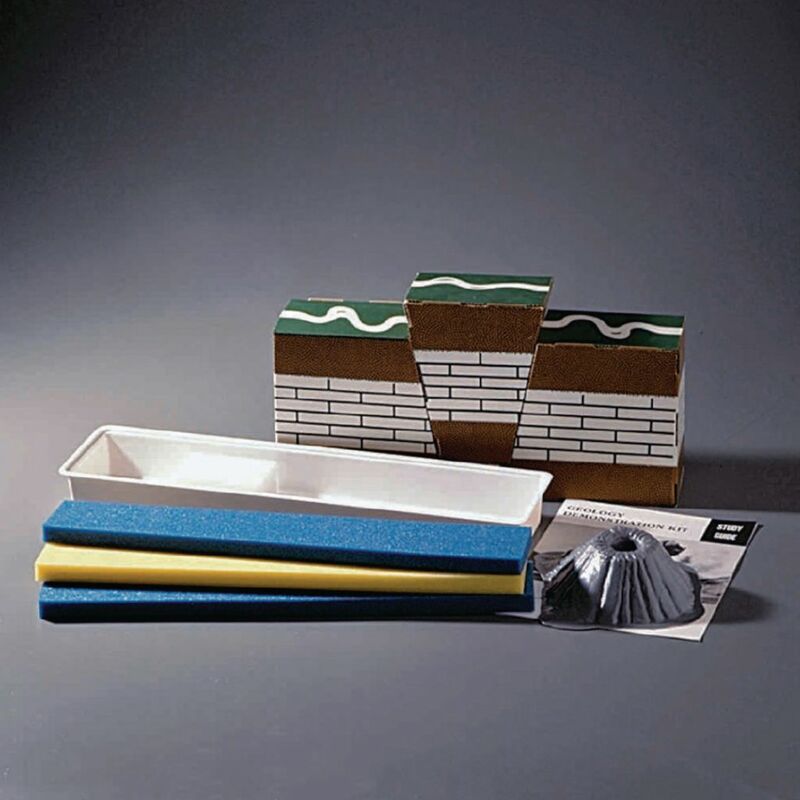 Hard-to-define terms such as anticline, syncline, horst, graben, and lava flow are clearly demonstrated with flexible, colored foam strips, three simulated rock formations, a watertight demonstration tray, and a nonflammable, erupting volcano. The kit comes with a study guide that includes illustrated instructions for all activities. The landform size is 21 x 2¾ x 6 ½". The tray's dimensions are 21 x 5½ x 2½", and the volcano is 6 dia. x 2¼".